My goodness, another amazing belly birth this morning and I am on such a high from capturing 4 births in less than a week! GOSH I LOVE MY JOB! 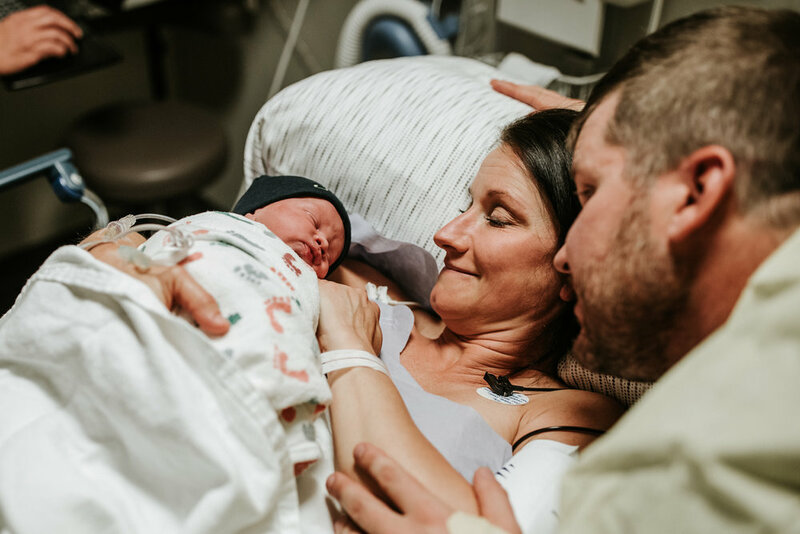 This sweet family is one of my favorites…and this little man was such a huge surprise to them after they thought they were done with babes after a miscarriage and some unexplained infertility after their oldest was born. Nope, this little dude had other plans! And my gosh, I am SO GLAD they allowed me to capture his arrival! 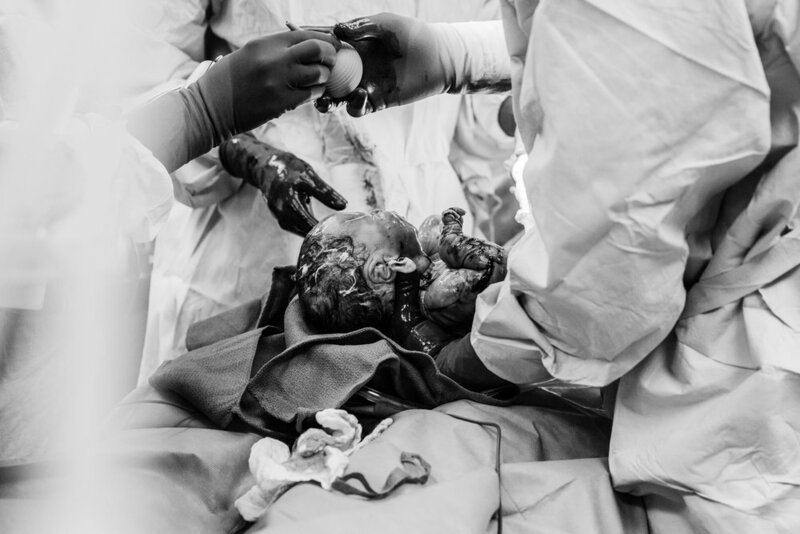 I am so partial to capturing c-sections and theirs was no exception! I hope you love these pics…I sure did taking them!!! Oh my goodness, what a crazy past 24 hours I have had! 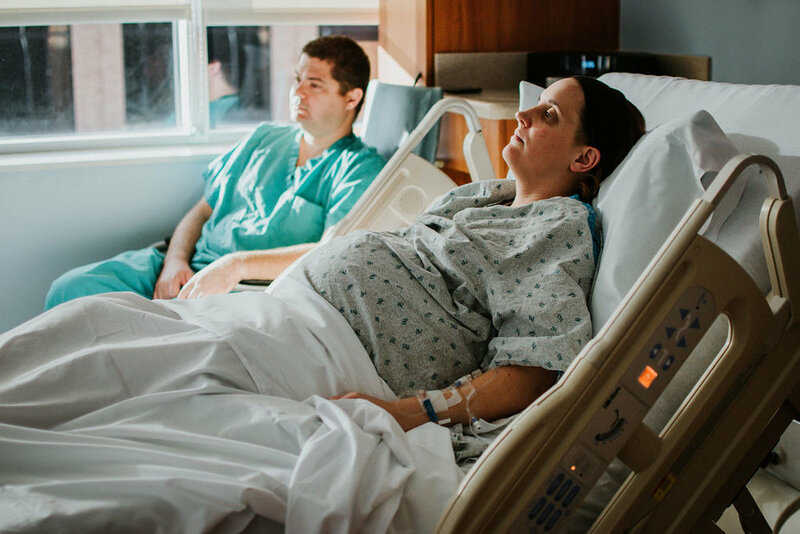 Two births, a room apart from each other, at the same hospital, almost exactly 24 hours apart!! WILD!! But AMAZING! And so perfectly timed as I’ve been home about 48 hours or so from my Hawaiian vacation! This adorable little (or big!!) man Maverick made quite the entrance! Knowing his mama’s history with quick labors, I elected to head her way when she was 4cm and I’m glad I did because just about an hour and a half later this guy arrived earthside weighing in a a massive 9 pounds 8 ounces at just 37 weeks!! What a chunker he is! THE BACK ROLLS!! GAHHHH! His mama and daddy were just completely smitten with him! He did need a little help getting his lungs cleared out but after some cpap and suction love he seemed to perk right up and want to eat…and eat he did! I just loved documenting this sweet little dude’s birth story — and I just LOVE his parents too! 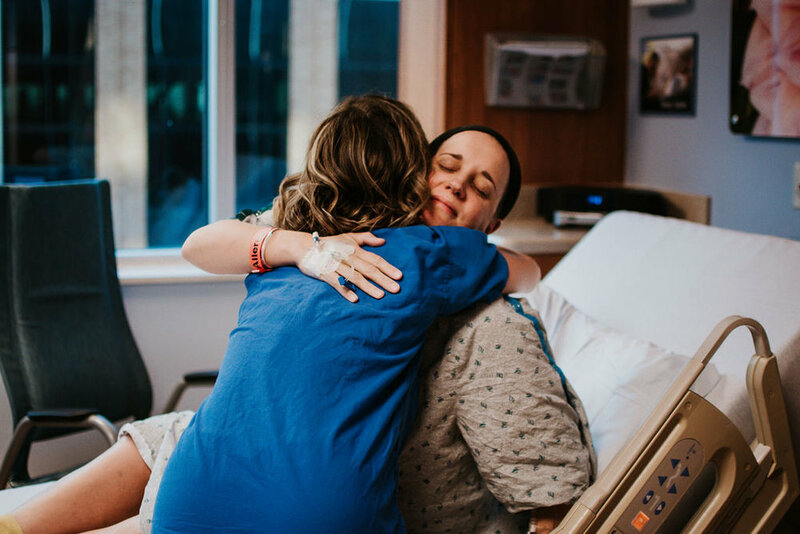 And his amazing nurse…she is one of my all-time favorites and was SO GLAD she was there for both of these back to back deliveries I had! I hope you enjoy these pics…I sure did taking them!! First off, how freaking gorgeous is this mama?!??! She made bringing her third sweet babe into this world look so incredibly easy! And this was another birth that time was on my side, as mama went from 4cm to baby out in just about an hour! Let’s say I made it with just a few moments to spare — but I am SO GLAD I did because I am literally OBSESSED with how these pictures turned out! I did come back for a Fresh 48 later in the morning too so big brother and big sister could meet their new little bro. They were beaming and just so sweet in seeing and holding him for the first time! I hope you love these pics…I sure did taking them! Oh my goodness, what an entrance this little dude made! 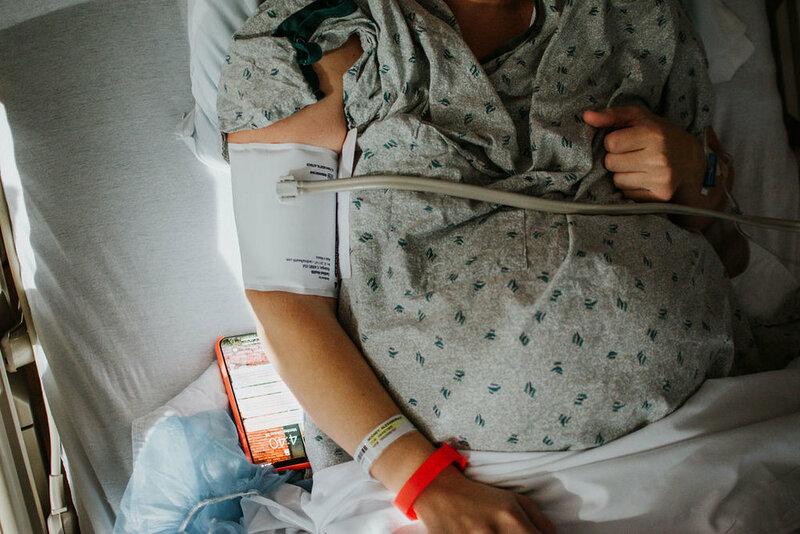 Kaitlyn is hands-down the strongest mama I know — she labored for almost 24 hours like a boss — after a 37 week induction due to low fetal movement and tones while being monitored after she decided to go in to be checked. Her hopes for a birth center arrival for this team green babe went out the window, but I think she was under the best care at MoBap. After trying nearly everything under the sun to get this little guy to come and being stuck around 7cm for hours it seemed, and then with some continued dips in his heartrate during contractions, it was deemed the safest bet for all to go do a c-section…which was a tough thing to swallow for this mama who had three prior vaginal deliveries. 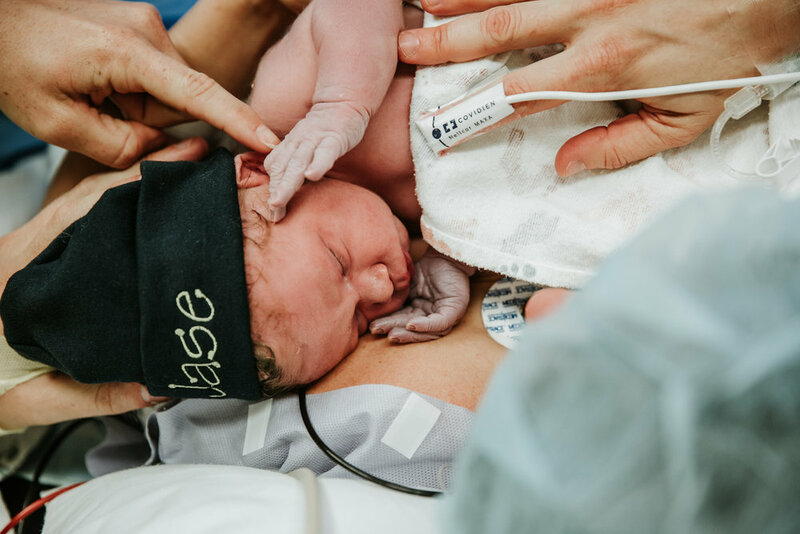 But even in the toughest parts of birth and it not going to plan, it is all about getting a healthy baby earth side, and that is exactly what Kaitlyn and Drew did here for their team green turned blue little guy Kenneth! 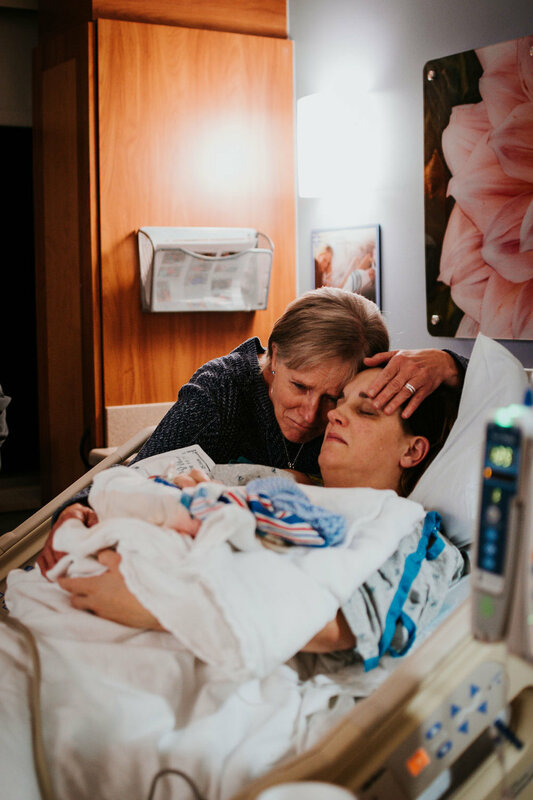 I am so glad I was able to be there to capture his arrival for them — and they had a wonderful midwife Jen by their side too who made all of the difference in their birth story. 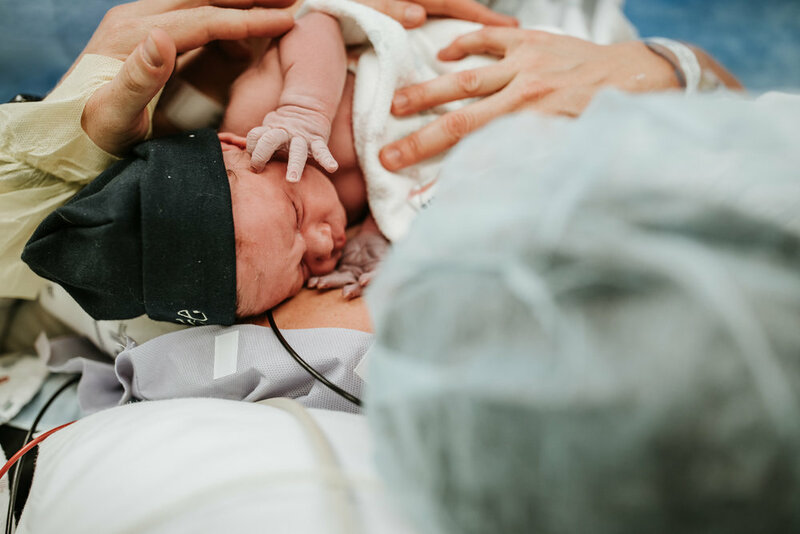 Enjoy these pics of this new little guy’s arrival — you are so loved little K! 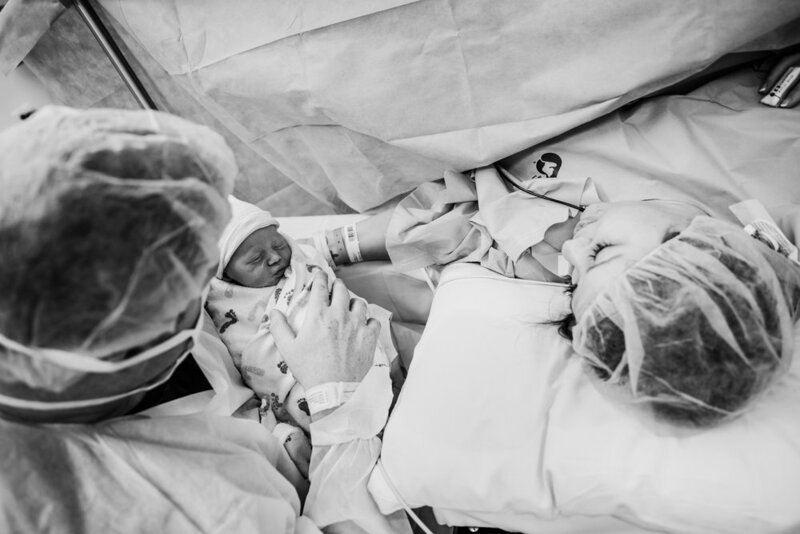 I thought I would share my own birth story, as was wonderfully and amazingly documented by Victoria Allen, one of the incredible photogs on my Birth Stories team. You can view Clark’s full birth story album here on her Facebook page. 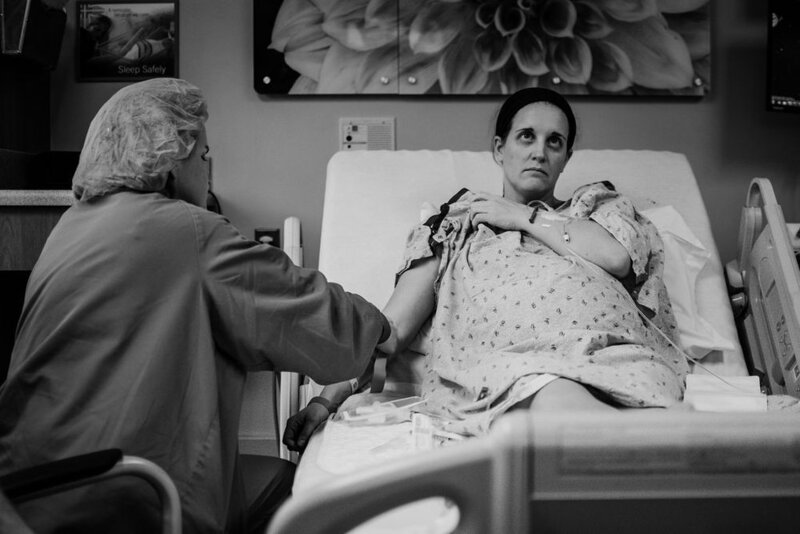 This is a raw, unfiltered story of loss. 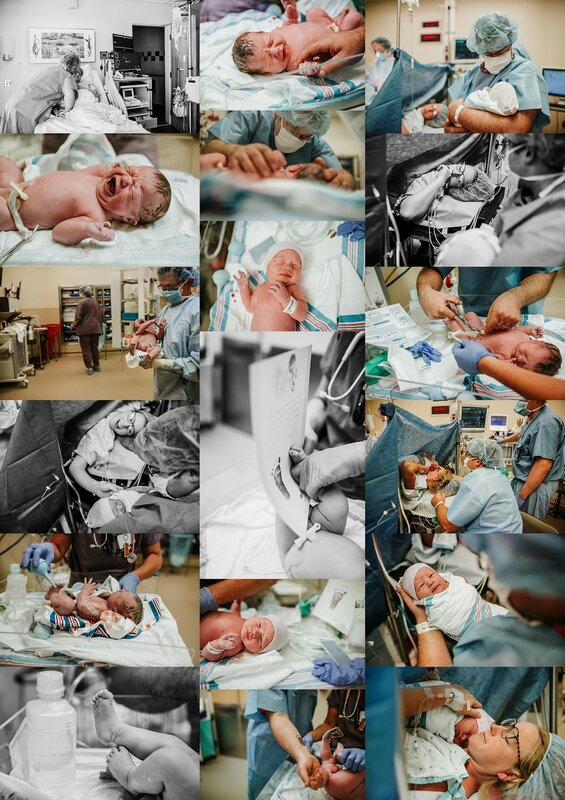 In the summer of 2018, I landed my dream job: birth photographer. 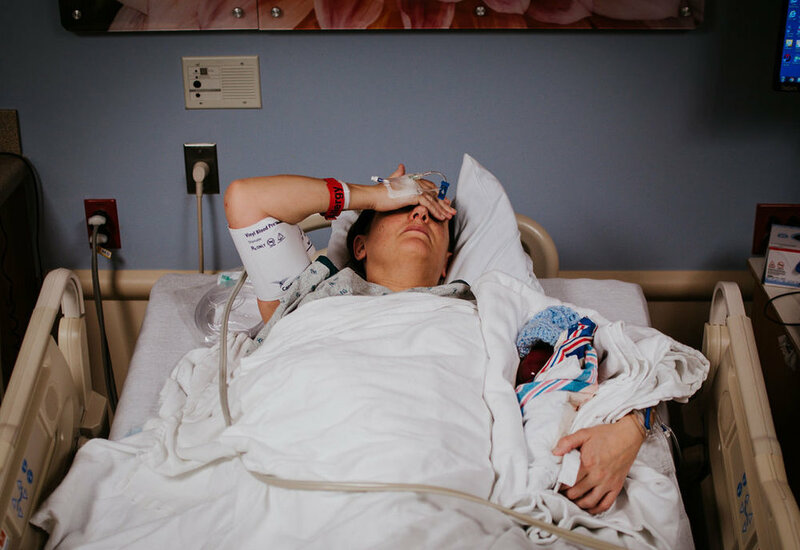 I had been snapping pictures of kids and families for years, but in July of 2018 I signed an official contract with a hospital to be their birth photographer. I went extremely part time, online only at my teaching job so I could focus on my family and snapping pictures of others. 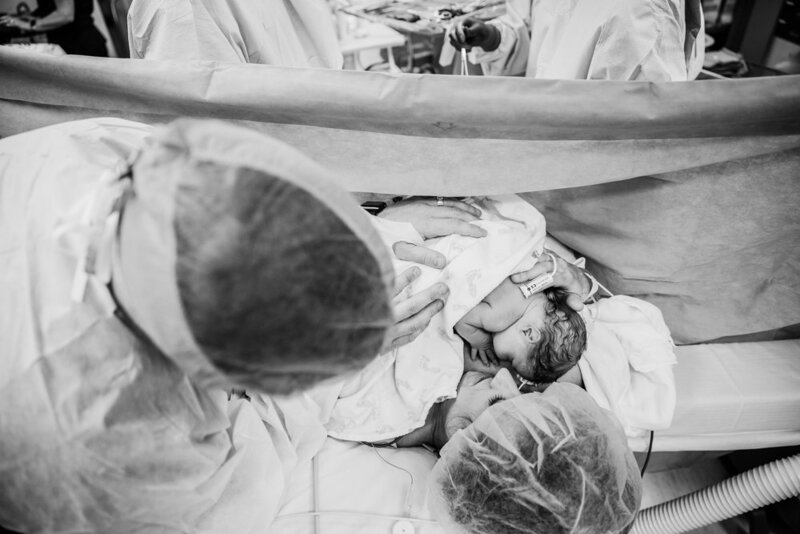 I assembled a team of photogs to cover the 24/7 on-call shifts needed for this gig, and was giddy over the fact that my dream, my passion of capturing births was coming true. I shared this exciting news on social media and had a community of support behind me as I started this new adventure. A week after sharing that news, my husband and I decided to share our other big news: we were expecting baby #4. The summer of 2018 was shaping up to be a very busy and exciting one. We were so thrilled to be adding another kiddo to our crew -- seemingly keeping in line with the every two years baby plan path we’d been on. I spent the end of my summer and early fall doing what I knew how to do best: taking pictures. A lot of families but a whole lot of babies, and many of them during their first moments’ entrance into this great big world of ours. It was exciting and thrilling and such a rush -- absolutely 100% the job I always had dreamed it would be. 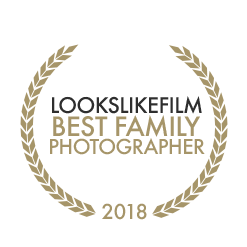 However, part of this job with the hospital was to cover any losses that came through as well -- I was adamant in signing this contract that myself and my team would cover these requested photos at no cost to the parents...these would be something we would do as requested and for no charge. These types of photo requests don’t happen often I found, but when they did they were such an incredibly memory keeper for the parents that I wanted to make sure we covered them the absolute best we could. 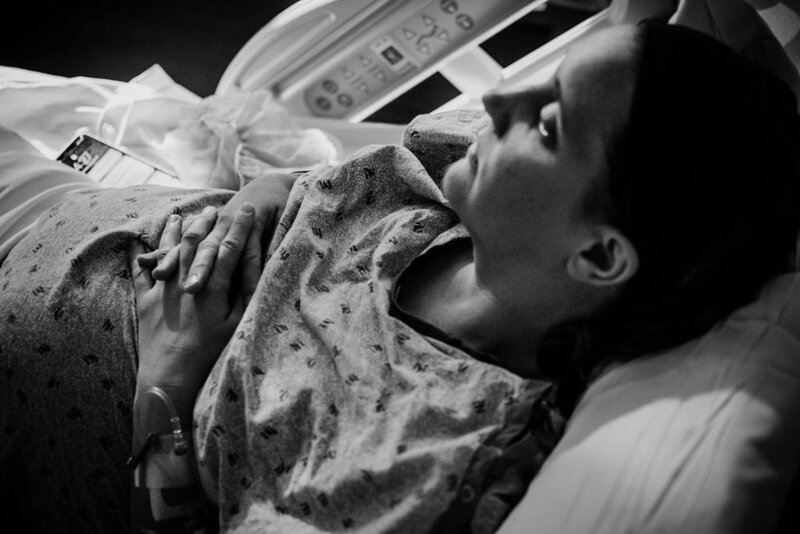 Being pregnant myself, I never thought twice about doing any of the loss photos that came across my plate -- I know how special photos are to families, and knew that these, probably their only photos they’ll have of their little one, would be even more so. 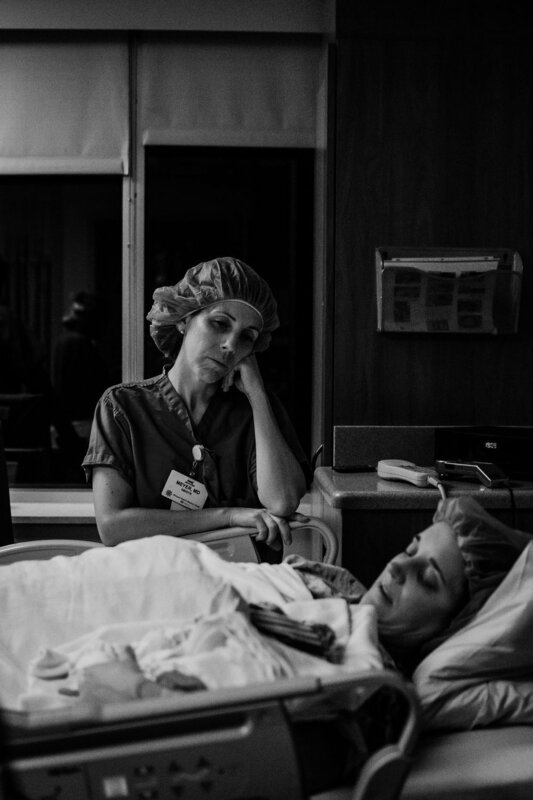 Just like when I’m snapping a birth, when I was photographing a loss I was in the zone: nothing else mattered, nothing else broke my focus -- my main goal was capturing as beautifully and story-tellingly as I could what was in front of me. I felt for these parents and their unimaginable loss; I wanted to cry with them as their held their little one all snuggled up in those blue and pink hospital blankets. But I knew the sadness I was experiencing as the photographer was nothing compared to what these parents were, so I kept my composure and snapped on. Then suddenly, that all changed. 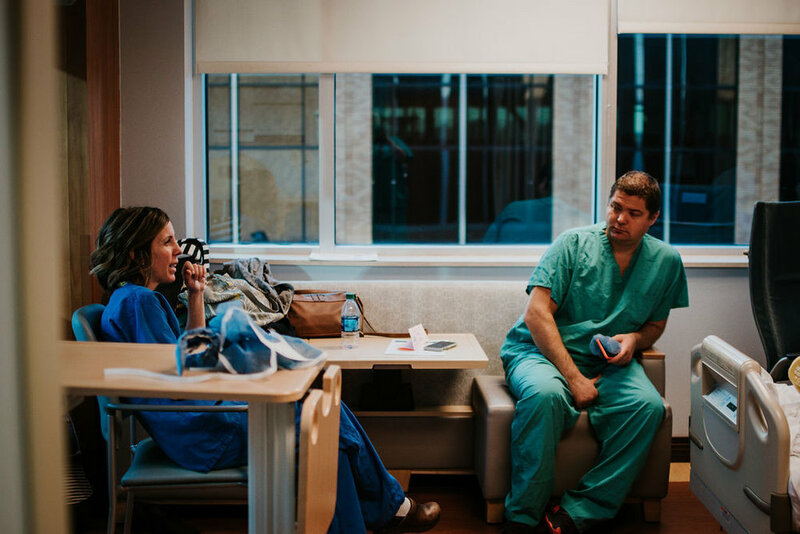 I found myself on the opposite side of the lens -- instead of being the photog walking in to greet these parents and capture their little one’s legacy, I was the parent lying in the recovery bed snuggling a baby that would never wake up. As elated as we were in the summer to add #4 to our family, something felt off to me with this pregnancy. I can’t really pinpoint what it was, but it started out with having basically zero pregnancy symptoms...something that with my last two pregnancies had me down for the count for the first 15+ weeks. As the weeks grew deeper and my belly seemed to grow exponentially quicker, I never felt any movement; not even the teeniest of tiniest flutters. Week 10 turned to 15 turned to 19 and still, nothing. I headed off to my 19 week anatomy scan solo, letting my night shift working husband sleep, praying it was just a super thick anterior placenta that was causing the lack of movement. But deep down, I knew something was off. 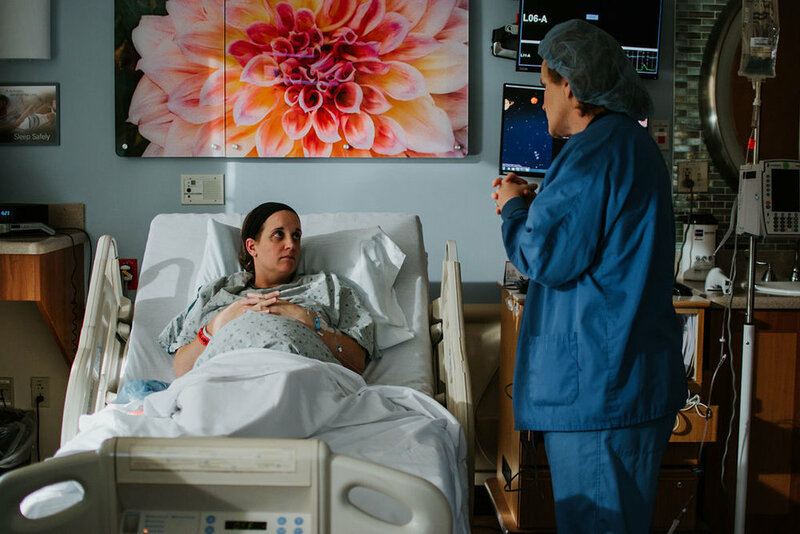 As the ultrasound tech squeezed the warm gel over my belly, I told her we didn’t want to know the gender, and I suspected a finicky placenta since I hadn’t felt any movement. I watched her face melt as she scanned my belly for maybe three minutes before she turned off the screen and told me, “There is a lot of fluid in there...baby has a lot of edema. 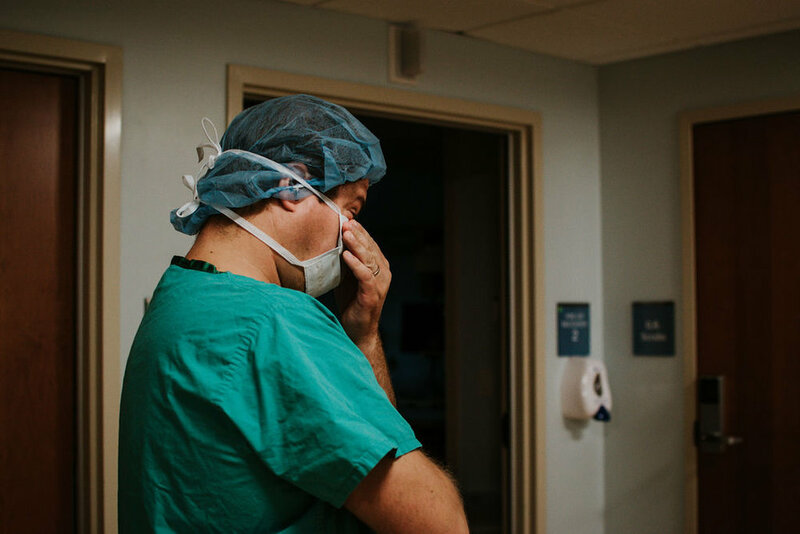 I am going to get your doctor.” My heart sank, and I debated calling my husband Mike, but just sat there, numb, and decided to wait and see what my doctor said. She is the kindest, sweetest, most amazing doctor I have ever been under the care of and I trusted her dearly, so knew she’d have something good to say. She always did. She did not this time. My wonderful OB came back in with the ultrasound tech and they scanned me for another few minutes. 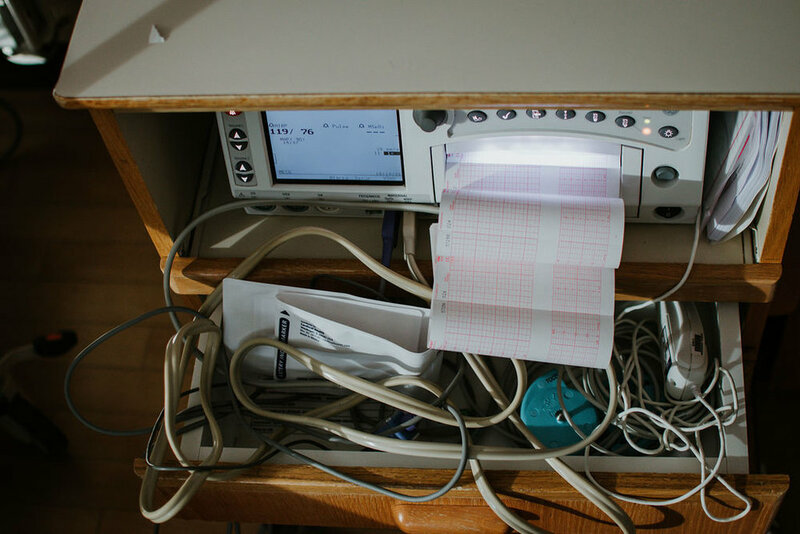 She pointed out the heartbeat, which was pretty fast at 160+ beats per minute, and told us we were having a little boy. 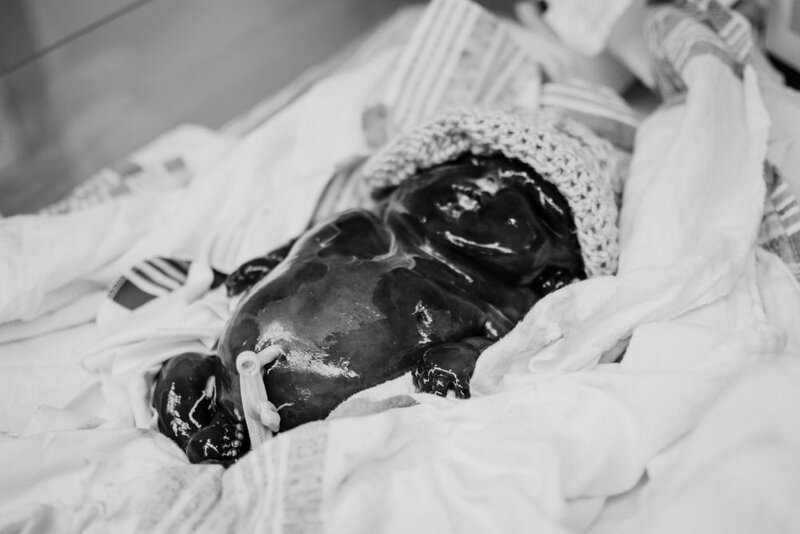 She also told us he had something called hydrops fetalis inside his chest and abdomen, two massive cystic hygromas on the back of his neck, and severe skin edema over the majority of his body. 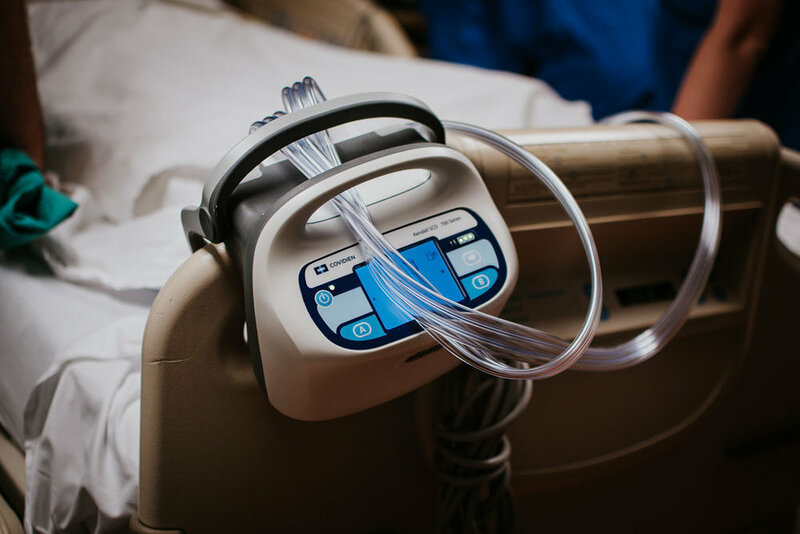 The fluid was putting some major stress and pressure on his internal organs. The next few weeks was a complete blur. Our little guy had a lot of fluid all over the inside of his body and some pretty serious issues resulting from it. He was in heart failure. We were given a fatal prognosis and told we only had a few weeks left with him. 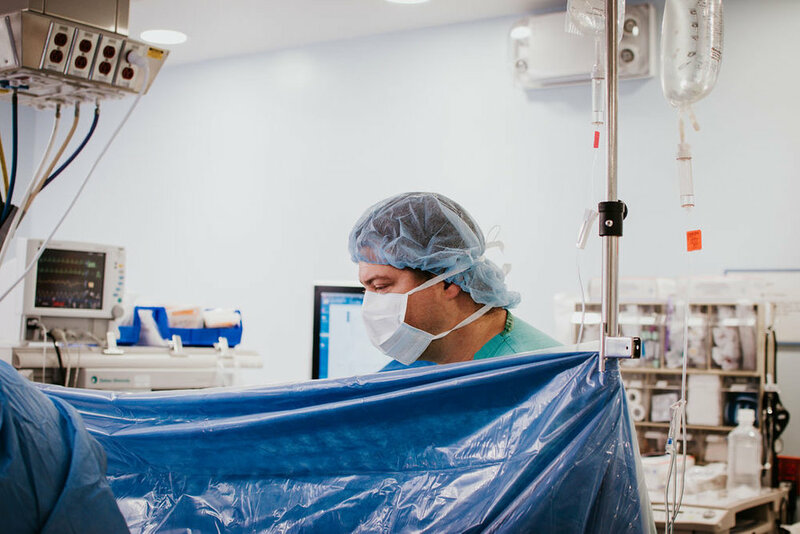 Despite this, we didn’t give up hope; Mike and I went to countless appointments, ultrasounds, underwent an amniocentsis, tons of blood tests, all the while our little guy was hanging on, fighting as hard as he could in there while we fought for him out here. We named our son Clark William -- Clark after Clark Gable, my grandma Goose’s (who passed away last November) most favorite actor from her most favorite movie, Gone With the Wind and William after Mike’s dad; his middle name. As Clark fought on, we shared his story online, posting updates for our friends and family on social media. It felt good to share his story and feel the love from our family, friends, and community from near and far. As we waited for answers, we were showered with messages, food, goodies, and the most perfect TinySuperheroes cape from all of our friends...some of them internet buddies I had never met in person. And then, all of a sudden, Clark was gone. After a restless night of sleep due to some severe itching and a frantic text to my OB early on a Sunday morning, Mike and I headed to labor and delivery for bloodwork and we discovered our little guy no longer had a heartbeat. We were completely devastated -- we anticipated this coming, but nothing could have prepared ourselves for the overwhelming and crushing feeling of losing your child -- a child that was still cozily nestled inside of you. After coordinating schedules with the high risk OB as well as my own OB, it was decided Clark would be born via c-section the next day, Monday, October 29th...which ironically was my grandma Goose’s birthday, the same grandma Clark was named after. The next 36 hours after finding out our Clark was gone was a whirlwind of contacting family and friends, telling our three big kiddos about their little brother and squeezing in a last-minute maternity shoot with our amazing photographer Victoria, who was also going to be there to capture Clark’s birth. As a loss photographer myself, I always come after baby has been born to photograph the baby and family...I’ve never been requested for the actual birth. We had planned on having Victoria capture our little guy’s arrival in late February, but never considered having her capture his sleeping arrival 4 months early...but she said she’d be there, no matter what. And we wanted her there -- we wanted to capture our Clark’s story exactly how we would have if the circumstances were different. Clark is our son, however short his time was with us, and he has made a tremendous impact on our lives. 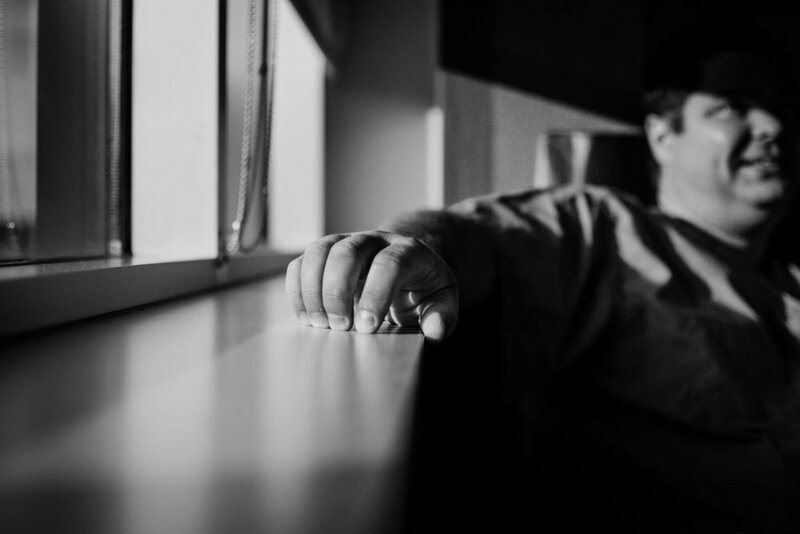 We had been sharing his story his entire life and weren’t going to stop now. We wanted his entire arrival documented, smiles and tears and everything in between. Why is there such a stigma against sharing stories about sadness and loss? Why don’t we talk about these? Is it because we feel embarrassed, guilt, or a host of other self-blaming reasons? I don’t know. But I refuse to fall into that stigma. I want to share Clark’s story -- our story -- and I want others to know that they can proudly share theirs too. You are not alone. My first three children were born via c-section and even at 22 weeks gestation with Clark, that was his birth route too. 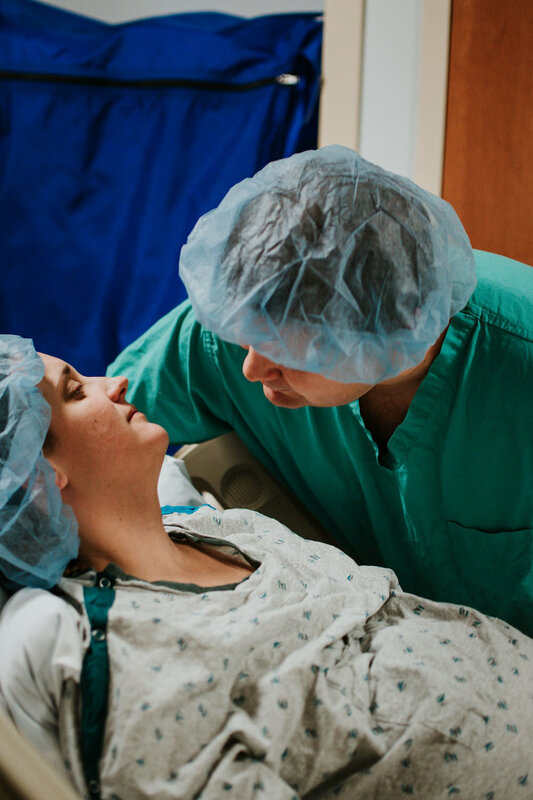 His fluid levels were having him measure quite large, and with my history of why I needed to have a c-section it was decided the safest thing for me would be a repeat fourth c-section -- four months earlier than I was anticipating. 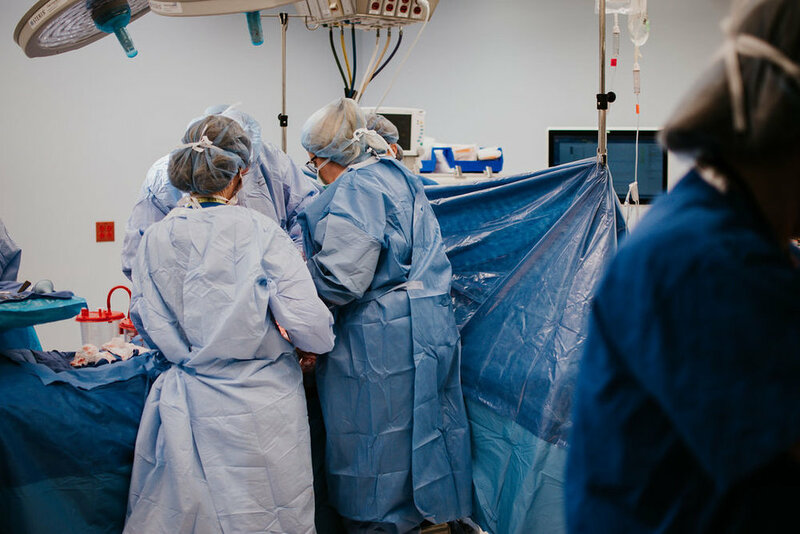 We got to the hospital in the late afternoon on October 29th and began c-section prep -- something I am very familiar with both with myself and snapping them for others. They placed a leaf on our door, signifying a loss, and there was no happy anticipation over if the baby was a boy or a girl, no last minute arguing over our top name contenders, and no cheerful post-birth plans for how long we’d be in recovery before going over to the mother-baby floor for days of newborn snuggles. My wonderful OB, who I just love dearly, came to assist the high risk doc in my c-section and I was beyond grateful she was there. She has been my medical rock for this entire pregnancy (and all prior) and I would truly be lost without her. 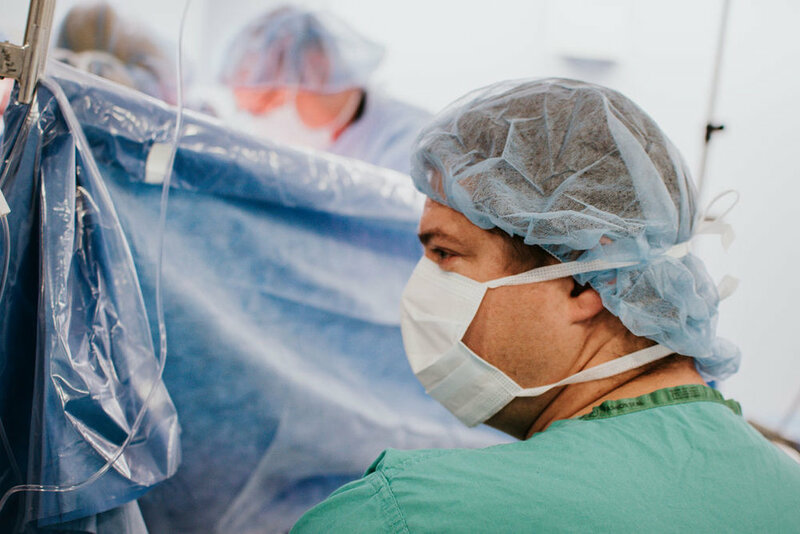 The time came to go back to the OR -- and my head was swimming with emotions. 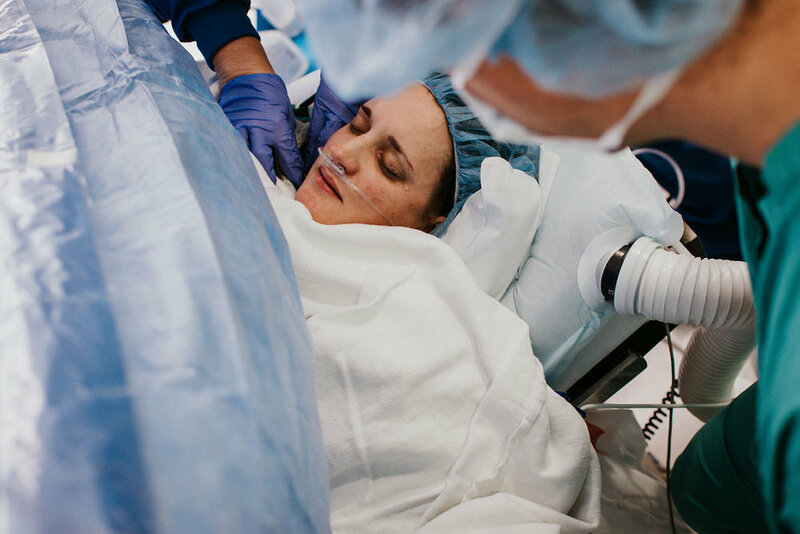 I felt lifeless as I leaned into my OB as the anesthesiologist placed my spinal. I was laid back, familiar blue drape raised, tears streaming down the side of my face as Mike came in and I squeezed his hand as hard as I could. The tears flowed harder and harder as the minutes drew on, closer to us meeting our son who we’d say hello and see you later at the same time. And he was out. There was no big “it’s a boy!” announcement, no suctioning his little mouth out, no teeny tiny baby cries. It was silent. I craned my neck and watched as our sweet boy was brought over to the warmer, which wasn’t even turned on. I watched as the nurses put a hat on him and cleaned him up a bit and swaddled him up. 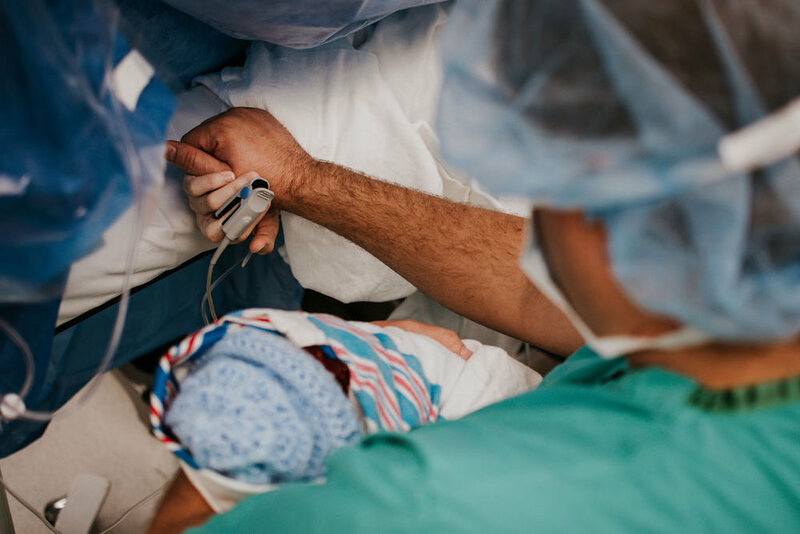 I was forever squeezing Mike’s hand, the anesthesiologist gently wiping the tears away from my eyes as I couldn’t take them off of my little boy. I told Mike to go over and see him, and my wonderful photographer put her camera down and sat and cried with me; held my hand as we watched Mike hold Clark’s over in the warmer. The nurse got him swaddled up tightly and brought him over to Mike who was back seated next to me. I got to see his face -- his sweet little button nose, chubby cheeks, and chin that was the spitting image of Mike’s. I held his little hand -- a hand that not even a week before was waving at us on the ultrasound screen. 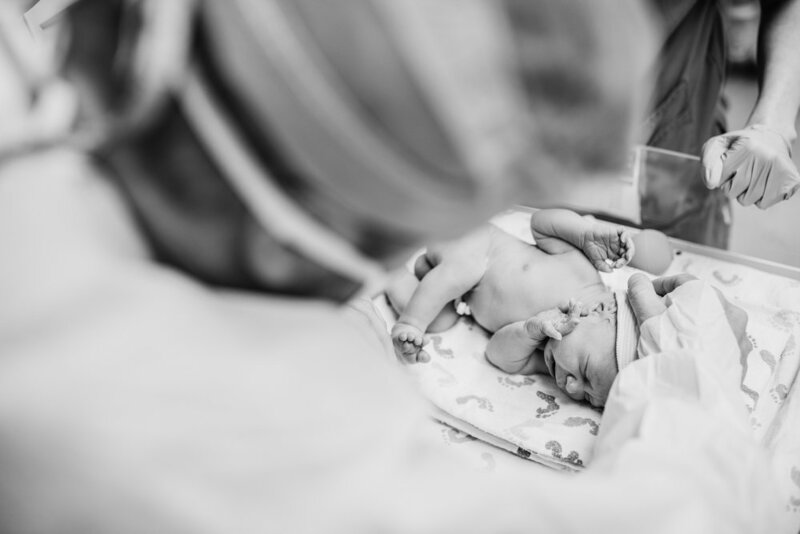 I closed my eyes tightly and cried, hoping that this was all a bad dream; that my sweet boy was still nestled inside of me growing away instead of laying lifeless in my husband’s arms. I opened my eyes and was back in the operating room, drape dropped, c-section over, and about to be moved back to my recovery room. 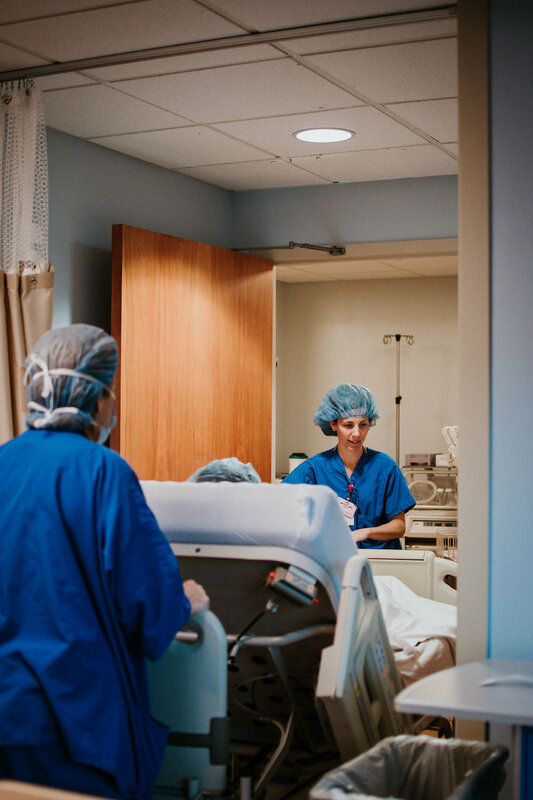 I snuggled Clark the entire way back to my room -- my son, a whopping almost three pounds at 22 weeks along, peacefully sleeping in my arms as I was rolled past the labor and delivery suites where other woman were laboring, soon to welcome their very much awake children. The next hour was a whirlwind -- our priest came and baptized sweet Clark for us, my parents came to snuggle their newest grandson and my wonderful in-laws came to meet their eighth grandchild while also bringing our three big kiddos up to meet their little brother. Mike and I debated bringing the kids up, but we decided that yes, they absolutely needed to meet their little brother who we had been non-stop talking about for the past several weeks. They weren’t fazed at all by his appearance -- they instead wanted to see his little hands and feet and argued over who got to hold him first. They wanted pictures with his TinySuperheroes cape. We snapped a family of 6 picture, our one and only one, and then bid everyone farewell. Mike and I got to spend some alone time with him before we said goodnight. Clark got to stay as long as we stayed in the hospital before the medical examiner came to get him, so we knew we’d get some more time with him before we headed home. It was the hardest day of our lives, but also one of the best. Because our son, our fourth child was born on that day and despite him being born sleeping, it was still a day we will celebrate because it’s his day. It’s his birthday. We have not stopped talking about or sharing his story since that day. We are fiercely in love with our son, so honored he chose us to be his parents and proud to share his story. Yes, it’s a story of loss, but it’s also a story of love. A love for someone with a tragic ending but love nonetheless. A love that is often silenced or not talked about, because it is not the happy ending we are so familiar with hearing. It’s a love that should be and needs to be shared. Because I hope at the very least one other person, perhaps going through this very same thing, reads this and gets something out of what I'm saying. Because it's okay to share and talk about. It.is.okay. *This story previously appeared first on Love What Matters. Read more about Clark and his legacy living on in Captures for Clark. My goodness what a busy month August has been for new babes! I rounded out the last of my August birth mamas with this little fella's arrival late on the 30th...and oh what an arrival he had! What's nuts is that all four of my August births were c-sections -- that has never happened before! 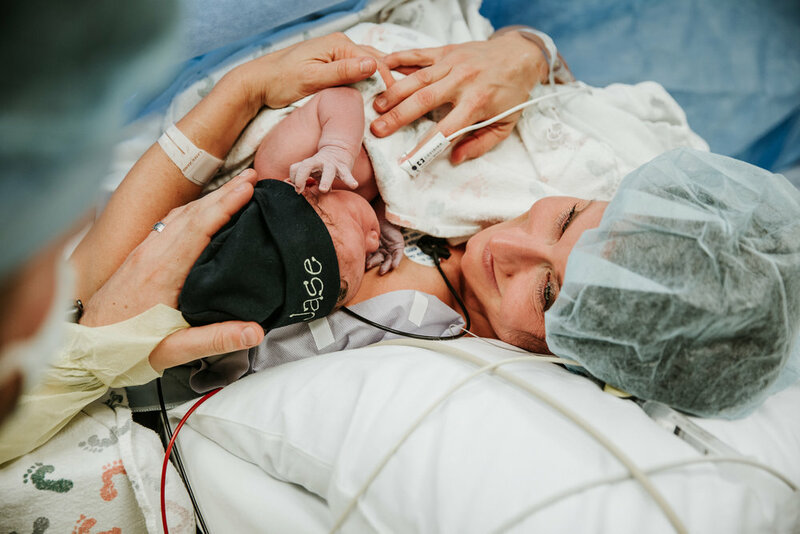 But, being a 3x (soon to be 4x) c-section mama myself I am partial to capturing those for parents as best as I can...and little Benjamin's was no exception! I just love the story his snaps tell -- I am just swooning over his pics! Although his arrival wasn't what was planned, he came out safe and healthy as did his mama and that is always the end goal with every birth. I hope you enjoy these...I sure did taking them!! This dude surprised everyone by coming almost 2 weeks early! He had an eviction via c-section set (thanks to being frank breech!) and instead decided he wanted to party in August instead of waiting for his September birth date! A little breaking of his mama's water and a superrrr early hospital trip resulted in an August 27th birthday for this guy! And oh my goodness, what an entrance it was! He was the cutest, sweetest, SO MUCH HAIR! little fella as soon as he came into the world! And he was alllll about snugglin' up with his mama as soon as he came out too! Kelly and Ryan are two of my most favorite people and I could snap their adorable family all day long! A huge thank you to them for letting me capture their little guy's arrival! I hope you enjoy these snaps...I sure did taking them!! Oh my goodness, another team green TURNED BLUE babe has arrived! And I am sooooo thankful to his amazing parents for calling on me to capture it! 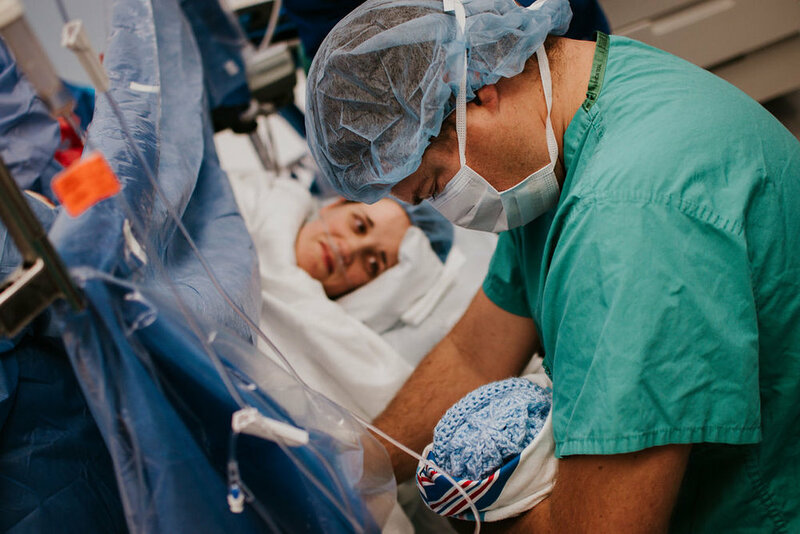 What a wonderful arrival it was -- a calm, chill, easy peasy repeat c-section for mama and both a super duper excited mama and daddy to meet their newest little guy! He makes kiddo #4 for them and is just the perfect addition to complete their family. Welcome to the world sweet Jett! You are so loved little one! !